Written By: Kathlyn Hendricks, Ph.D., Gay Hendricks, Ph.D. Here is a powerful new program that can clear away the unconscious agreement patterns that undermine even your best intentions. 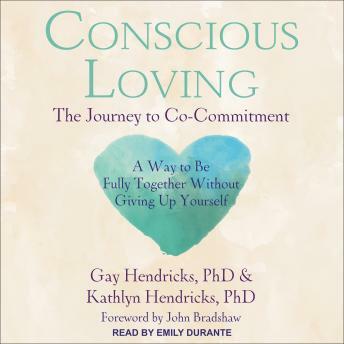 Through their own marriage and through nearly forty years of experience transforming relationships with thousands of people, Gay and Kathlyn Hendricks have developed precise strategies to help you create a vital partnership and enhance the energy, creativity, and happiness of each individual. You will learn how to: let go of power struggles and need for control; balance needs for closeness and separateness; increase intimacy by telling the 'microscopic truth'; communicate in a positive way that stops arguments; make agreements you can keep; and allow more pleasure into your life. Addressed to individuals as well as to couples, Conscious Loving will heal old hurts and deepen your capacity for enjoyment, security, and enduing love. by Kathlyn Hendricks, Ph.D., Gay Hendricks, Ph.D.